West Bali National Park or “Taman Nasional Bali Barat” in Indonesian language, is located in the north-western part of Bali island. It includes the whole area of Prapat Agung Peninsula, and large area of land around the towns of Gilimanuk, Cekik and Banyuwedang. The official area inside the park boundaries is 190 square kilometres, with a further 580 square kilometres of protected reserve in the highlands to the east. 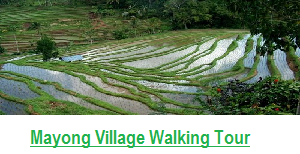 Totally, this accounts for some ten percents of total land area of Bali. Officially, the park was firstly recognized as an area of importance in 1917 when the council of Bali rulers designed it as a nature park. 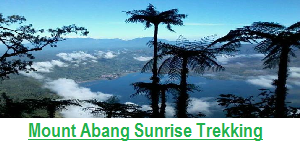 It was fully established as an Indonesian National Park in 1941.The park consists of rainforest, dry savanna, acacia scrub and lowland forests, as well as more mountainous forests in the higher centre. There are also some pouches of dense mangrove forest. 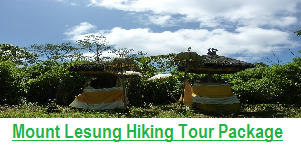 In the northern part of the park there is an obvious north jutting peninsula called Prapat Agung. Around this peninsula there are long stretches of protected beach and offshore coral reef as well as a small offshore island called Menjangan. The latter is a very popular diving and snorkeling destination. There are several long extinct volcanoes in the protected reserve area to the east, with Mount Patas (1,412 metres) and Mount Merbuk (1,388 metres) being the highest points. These summits are dominant visual landscape features from every area of the park. One hundred and sixty species of birds have been recorded in the park, including the almost extinct Bali Starling, Bali’s only endemic vertebrate species, and this is a key reason why this national park was created in the first place. By 2001, as few as six individuals were thought to survive in the wild, all of them in this park. Since then captive breeding and re-introduction efforts have continued, but poaching pressures are a large problem. With that in mind, a second re-introduction program was started in remote regions of Nusa Penida in 2004. Keen birdwatchers can find a checklist of likely species and their status here. Mammals found inside the park include Banteng, a species of wild cattle from which the familiar Bali cows are descended. Javanese Rusa and Indian Muntjac deer are quite widespread, and Menjangan Island is in fact named after these (Menjangan means deer in Bahasa Indonesia). Wild Boar and Leopard Cats are both quite common but seldom seen. A Bali Tiger (a full sub-species of Tiger) was shot here in 1937, and despite rumours to the contrary, that is the last ever confirmed sighting of an animal considered extinct since that moment. Bali is always warm, humid and tropical, with the remaining temperature around 30-35°C (85-95°F) all year round. The April-October dry season and November-March rainy seasons are only relative, with a lot of rainfalls around the year, but the Balinese rainy season is more cloudy, more humid and with a higher opportunity of thunderstorms. Most visitors to the park arrive along the north coastal road from Lovina (about 90 minutes) or Pemuteran (about 15 minutes). Others come from the south via Gilimanuk (about 15 minutes). All visitors should check in at one of the two park offices (PHPA) for information, and to buy permits and arrange guides. The headquarters is at the village of Cekik just south of the Gilimanuk in the west. The other is at Labuan Lalang on the northern coast from where boats to Menjangan Island depart. The main ranger station is on the road between the two offices at Sumberklampok. Only a small percentage of the total area of the park is open to visitors, and this rule must be respected. There are two key ways to explore the park: either hiking the trails or concentrating on marine aspects. Walking the trails must be done with an official guide from one of the national park offices (most normally at Cekik and labuan lalang). The official park trails should be explored with a guide recommended by the national park office. Please do not ignore this nor encourage others to disobey it. 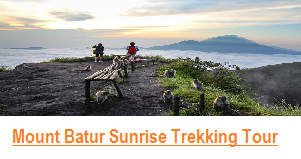 The Tegal Bunder Trail is most popular with bird watching activities, and it is an easy two-hours walk. The ranger checkpoint is at the village of Sumberklampok about 20 minutes west of Cekik. 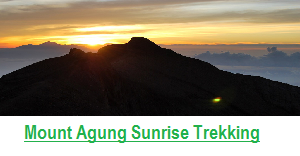 From the same checkpoint you can take the harder Gunung Klatakan Trail to the south east. This is tougher walking for approximately eight hours, but it takes you through some memorable rainforest. There are other trails and opportunities for interesting hikes, but these are the two most popular and the easiest ones. 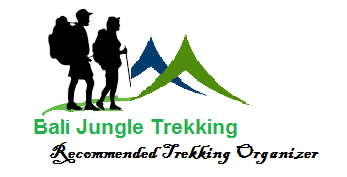 Ask your guides about other opportunities at the time, particularly those involving hiking deeper into the Prapat Agung Peninsula. The Teluk Brumbun is well-known for its savannah and landscape,a panorama of menjangan island can be seen from the ridgepole of the hill. This is a good place to witness animals that live in the park. Deer, wild pig, macaque can be found here and it is a good place for birdwatchers and hikers, too. If you arrive along the northern coastal road, there are lots of traditional stalls at Labuhan Lalang. If you go from Gilimanuk there are many restaurants, small shops and eating stalls traditionally called “warung” in the town, and also the same thing you can find around the national park headquarters at Cekik. There is nowhere inside the national park to buy any drink, including water. Bring in adequate water with you. There is one official high end tourist resort inside the boundaries of the national park on the Prapat Agung peninsula. There is no other accommodation inside the park. 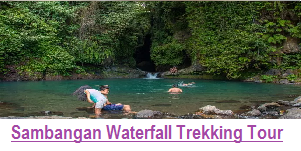 Visitors on a lower budget day trip to the park can stay in Gilimanuk, Pemuteran or Lovina where there many accommodations to suit all budgets. Camping is not permitted inside the national park, but there is a basic campsite at the park headquarters in Cekik. Facilities are limited but do include simple toilets and bathrooms. Bring your own camping gear. A small donation to the helpful (and under-paid) park staff is in order. Please bring a lot of water with you as you will dehydrate quickly. If you explore the park via a base in the north western part of the park (Pemuteran or Lovina) then you may wish to continue your journey around Bali to the south and west via Gilimanuk. The reverse is surely also the case.